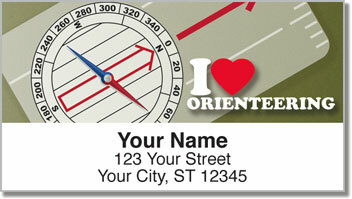 Orienteering is a unique outdoor sport that challenges competitors to navigate their way through all sorts of terrain using nothing but a compass and a map. You can do it on foot or by mountain bike, on a canoe or with cross country skis. 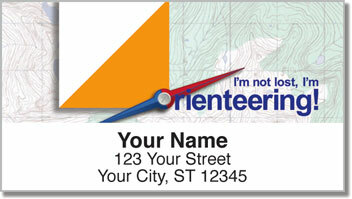 Orienteering is often used as part of adventure races where participants must find their way across rugged landscapes. It's also a valuable skill to have if you ever find yourself lost in the wilderness. Stick these unique return address labels on all your outgoing mail so it can always find it's way back to you if needed. Forget about scribbling on all those envelopes. The convenient self-adhesive backing means all you need to do is peel and place. 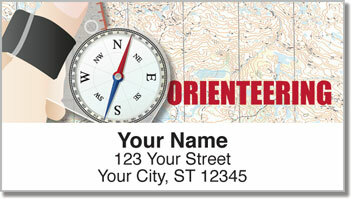 Order your very own Orienteering Address Labels right now! 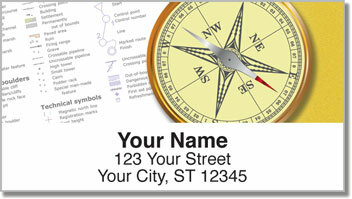 You can also find this design in matching personal checks.